We’d love your help. 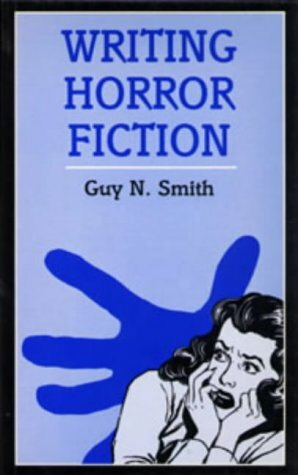 Let us know what’s wrong with this preview of Writing Horror Fiction by Guy N. Smith. This writer's guide looks at the development of horror fiction and explains how to write short stories, graphic novels and horror fiction for children and adults. Beginning with the initial idea the author shows how to build on it, developing characters and plot. There are ideas for selecting and approaching publishers and information about contracts and publication. To ask other readers questions about Writing Horror Fiction, please sign up. I enjoyed this, but probably more for what I learned about author Guy N. Smith than what I did about writing. I'm always interested in the creative processes of successful writers, and I enjoyed the "behind the scenes" lowdown on Smith's career. Plus, this book is full of great recommendations for horror novels that somehow slipped under my radar. As a writing tutorial, however, the book is admittedly weak. Much of Smith's advice is outdated and concerns the British publishing industry. Since I'm I enjoyed this, but probably more for what I learned about author Guy N. Smith than what I did about writing. I'm always interested in the creative processes of successful writers, and I enjoyed the "behind the scenes" lowdown on Smith's career. Plus, this book is full of great recommendations for horror novels that somehow slipped under my radar. As a writing tutorial, however, the book is admittedly weak. Much of Smith's advice is outdated and concerns the British publishing industry. Since I'm American, this wasn't very helpful. 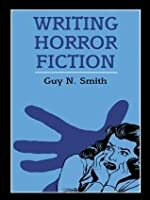 Smith also spends a good deal of this short guide talking about the history of horror, which probably isn't the best use of the book's page count if the goal is making you a better writer. Smith treats readers as if they don't know the first thing about horror (or writing in general), making this something I would only recommend to an absolute beginner. This handy writer’s guide was probably perfectly serviceable when it was published but much has become redundant thanks to advances in technology. Smith treats writing as a serious business, as much as an art form, which is only right and proper. Unfortunately, the business has moved on since 1996... a lot. His advice concerning submissions, publicity, and cracking the American market feels terribly out-of-date in this world of self-publishing, instant email contact, and social media. In a similar This handy writer’s guide was probably perfectly serviceable when it was published but much has become redundant thanks to advances in technology. His advice concerning submissions, publicity, and cracking the American market feels terribly out-of-date in this world of self-publishing, instant email contact, and social media. In a similar way, his tips on writing fiction for children and teenagers comes across as a little antiquated following the cultural impact of the Harry Potter and Twilight series’. When discussing the craft of writing, rather than the business, Smith is on firmer ground, propounding a system of detailed research, and chapter-by-chapter outline before setting down a word of your novel. Whether you agree with the approach or not, it certainly works for Smith, who had over sixty novels on the market at the time of writing. Even here, technology marches on. When Smith waxes lyrical about investing in a dedicated word processing machine, or talks about pasting newspaper cuttings into a research scrapbook you would be forgiven for forgetting this book is only twenty years old. Interesting for beginners to horror fiction but not much use for anyone else. Small book, pragmatic advice. Will re-read. I was first published at the age of 12 in The Tettenhall Observer, a local weekly newspaper. Between 1952-57 I wrote 56 stories for them, many serialized. In 1990 I collated these into a book entitled I was born on November 21, 1939, in the small village of Hopwas, near Tamworth, Staffordshire, England. My mother was a pre-war historical novelist (E. M. Weale) and she always encouraged me to write.